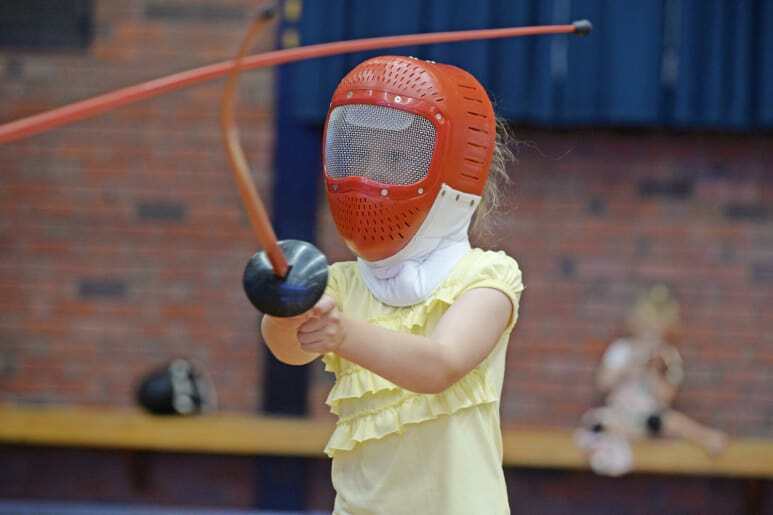 High blow: Nikita Taylor, 6, of Kyabram aims a strike at her mother Kate’s head. 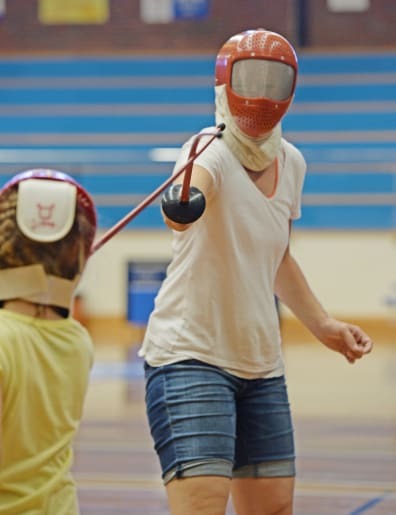 How it’s done: Instructor Graeme Orrman gives a few fencing pointers. Pictures: Megan Fisher. 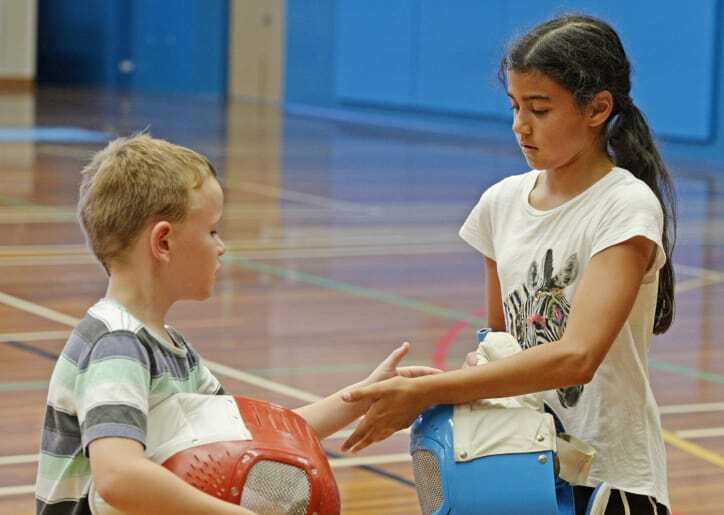 Good show: David Birrell, 8, and Zara Lakkaraju, 10, shake hands after a clean fight. 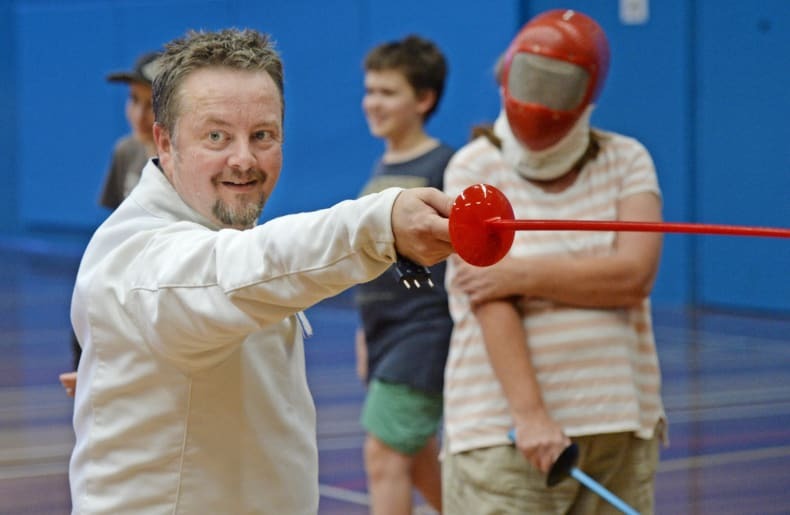 ‘‘You got me, Mum!’’: Lisa Birrell lands a good strike against son David, 8. 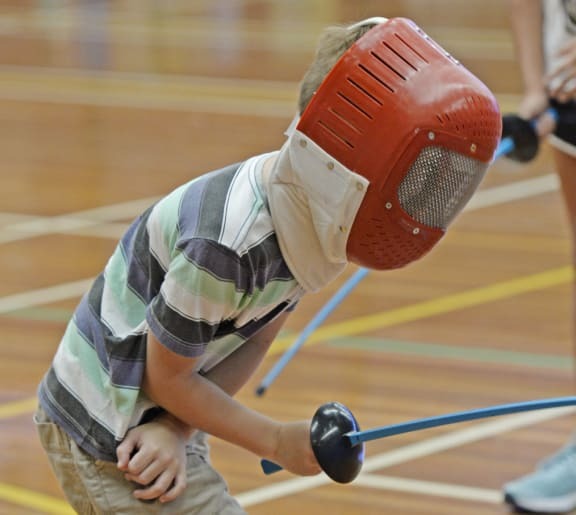 Defence: Kyabram's Nikita Taylor, 8, deflects an opponent's sword. 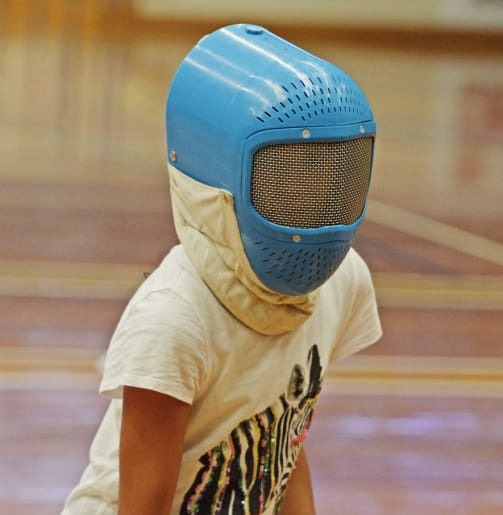 Blue helmet: Zara Lakkaraju, 10, from Shepparton is ready to strike. 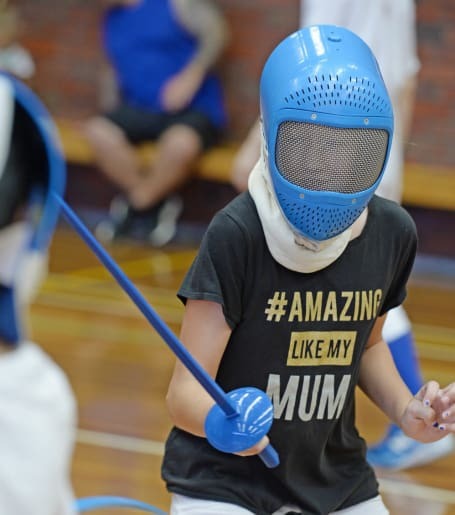 Amazing skills: Hanna Taylor, 11, takes a blow to the leg.